Candorville sets the tone for today, and if Lemont and I share a cynical view of society, it’s at least a cynicism based on a sense that we could be a better place if we didn’t simply lack the will. I’ve seen a raft of black hole cartoons with this or that being dragged into it, but none of them seemed to really capture the moment, because we’re all being dragged in, but it’s not because the black hole is irresistible. It’s because we don’t have the will to resist. Nor the sense to learn, even though, if you wait around long enough, you get to see everything twice. Pretending to see everything twice is fine if you’re only malingering, and it’s a lovely way to pretend to be wise, cynical and worldly. 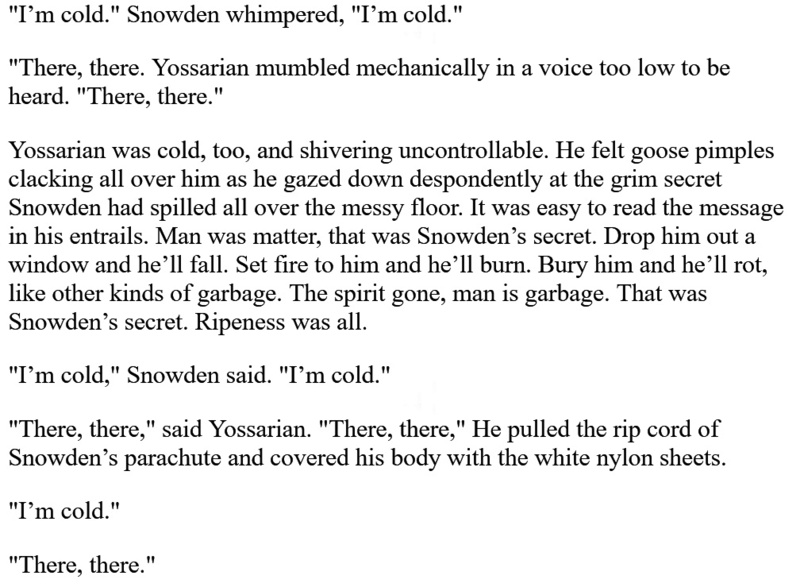 But, as Yossarian’s roommate demonstrated, it’s not so wonderful when it’s sincere. 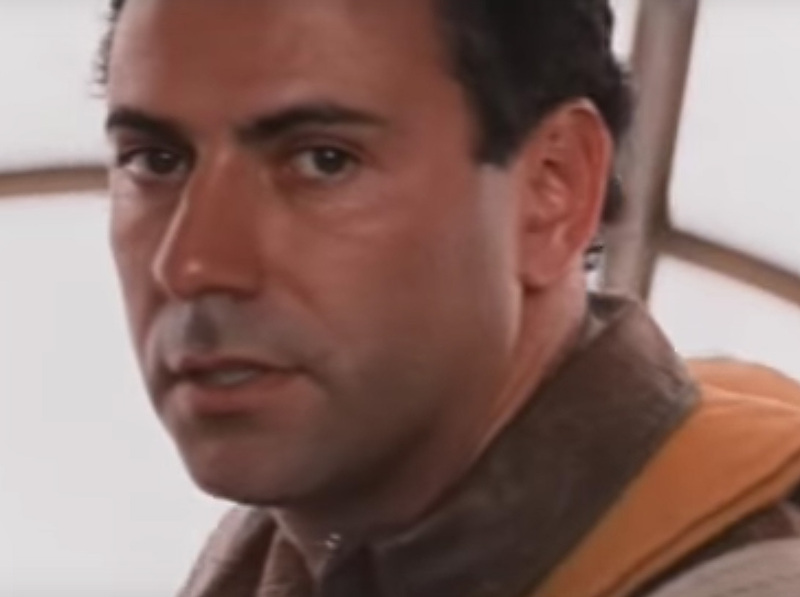 After Yossarian had seen reality once, he began his efforts to avoid seeing it twice. 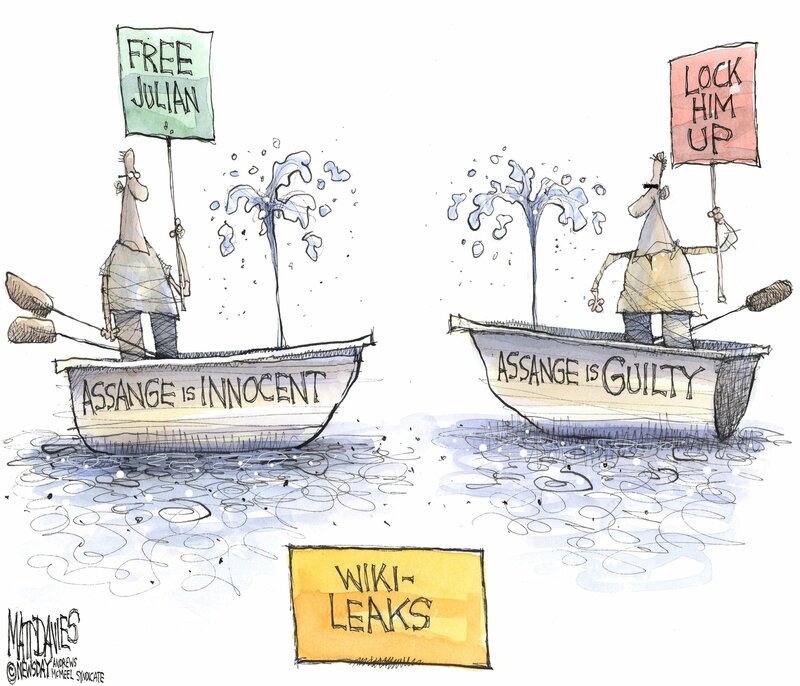 Because right now, as Matt Davies illustrates, journalists are locked in a battle over whether the arrest of Julian Assange is, or is not, an attack on the free press. But Julian Assange is neither the Snowden who fled to Russia, nor the Snowden who spilled his guts all over the inside of a B-25. Nor is he Daniel Ellsberg, who couldn’t hide behind the First Amendment because he never published anything. He simply supplied the Pentagon Papers to people who did. And, as much as I see everything twice, the Pentagon Papers and Wikileaks aren’t all that much the same, either. Granted, the Supreme Court ruled 6-3 that the NYTimes and Washington Post had the right to publish the Pentagon Papers. But don’t pop those corks yet. 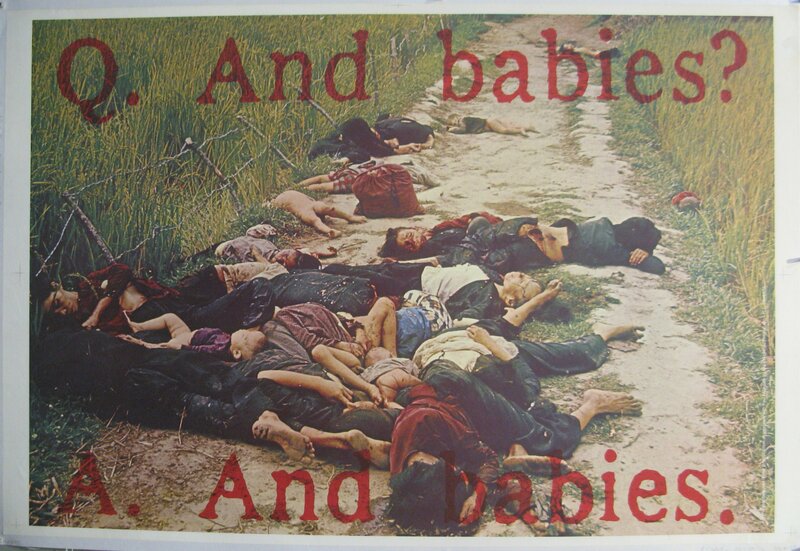 The Court based its ruling in part on their finding that publishing a secret history of the Vietnam War did not create a grave and irreparable damage to the nation’s security. Which is to say that the First Amendment does not negate the Espionage Act, and so the content of the Wikileaks materials would be relevant in determining if their publication is protected. The other point is that Ellsberg still faced prosecution for the leak itself, and what saved him there was not the First Amendment but the outrageous violations of his rights that the White House Plumbers had committed. So it will be an interesting question whether Assange is protected as a publisher, but, if it’s true that he assisted in the theft of the documents, the First Amendment question is only interesting and not pivotal. He’s still got plenty of liability to face. Mike Luckovich poses a much more interesting question, which is how many obvious, bald-faced lies can Trump tell before his loyal Deplorables catch on? It’s understandable that, while he promised Mexico would pay for the wall, they might believe that, although Mexico refused to cooperate, a wall is still necessary and should be built. Loyalty allows for a lot of fudging and we all do it. But Trump’s father was not born in Germany and, if he’d only said it once, it might be a slip, but not only did he say it more than once, he then declared that his father had grown up in Brooklyn when the old man was raised in the Bronx. And you can play back the videos of Trump expressing his love of Wikileaks and encouraging people to read Wikileaks, and it won’t jibe with his current posture that he has barely ever heard of them. And he could shoot someone on Fifth Avenue and his voters wouldn’t be swayed but, more to the point, neither would Republican congressmen. Nixon had a strong fan base, but he never commanded this kind of loyalty. We had the Cheney Administration and now we’ve got the McConnell Administration and so you don’t have to be 70 years old to have seen everything twice. But, whether you side with the Federalists or Antifederalists, you should concede that, while the Founders may not have wanted a king, they surely weren’t looking for a stooge. 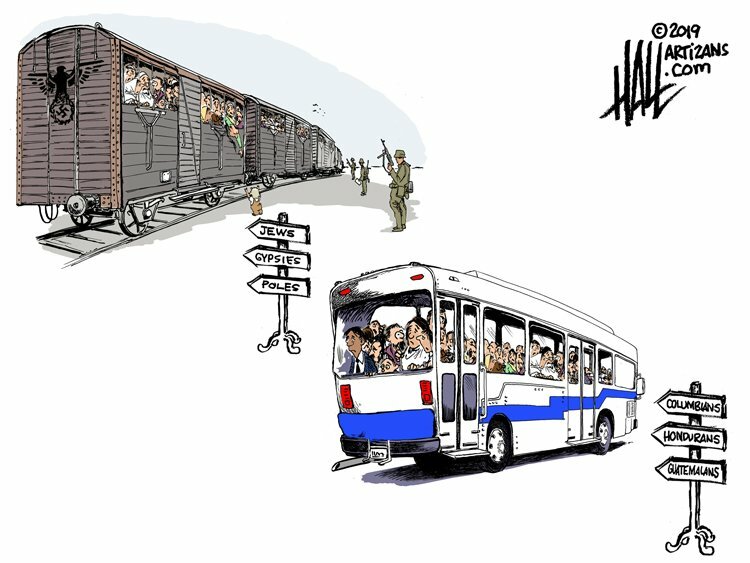 Ed Hall draws a parallel between herding minorities into cattle cars and putting them on buses, and, while I think the comparison is flawed, perhaps it’s only premature. I’m sure the Germans — at least the ones in charge — knew where they were sending those people, and it’s not the same goal as in Trump’s still-fanciful goal of shipping brown people off to sanctuary cities. However, the objectification of human beings, the racism, the appeal to bigotry, is indeed parallel. 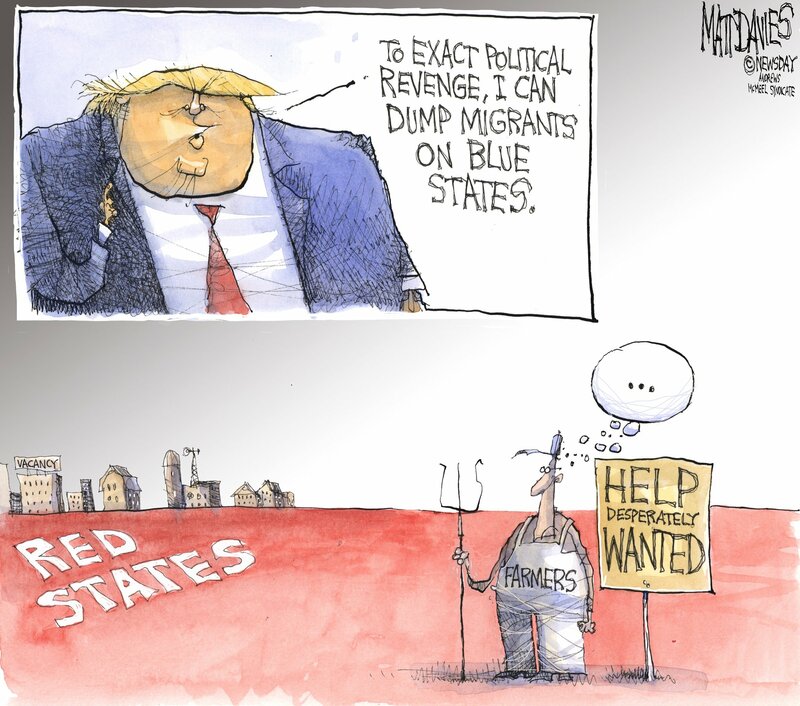 Though, as Matt Davies (again; He’s having a good week) suggests, there’s a sort of “don’t fling me in dat briar patch” element at work here, in that Dear Leader’s intended punishment may be absurdly misdirected. He can ship those objectified brown people off to San Francisco, but it’s not clear they wouldn’t be welcomed and cared for, and it’s also not clear how Trump would keep them from then heading over to the San Joaquin Valley where they would find the jobs they came here seeking. 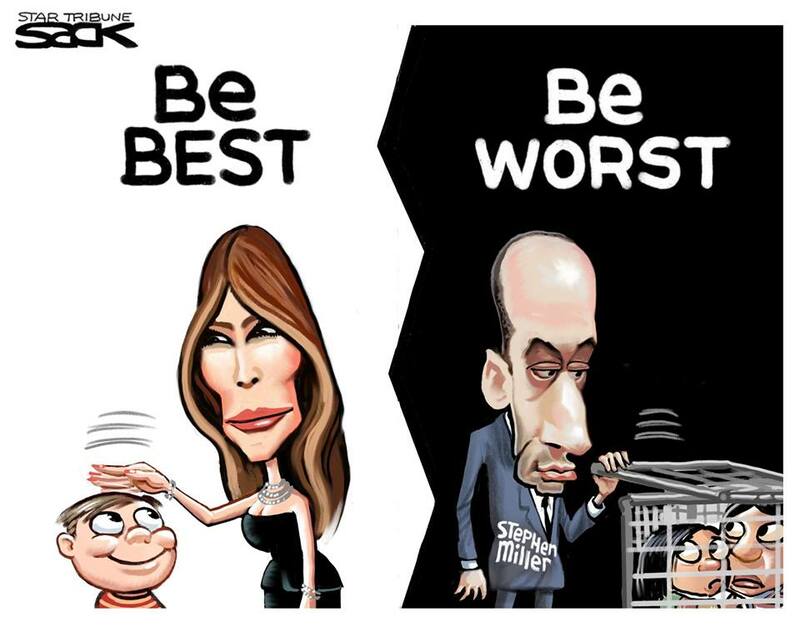 Dear Leader’s farcical plans and bizarre concepts of governing aside, Steve Sack cuts to the heart of that objectification and the horrific gulf between what the White House says and what it does and how much anybody cares. 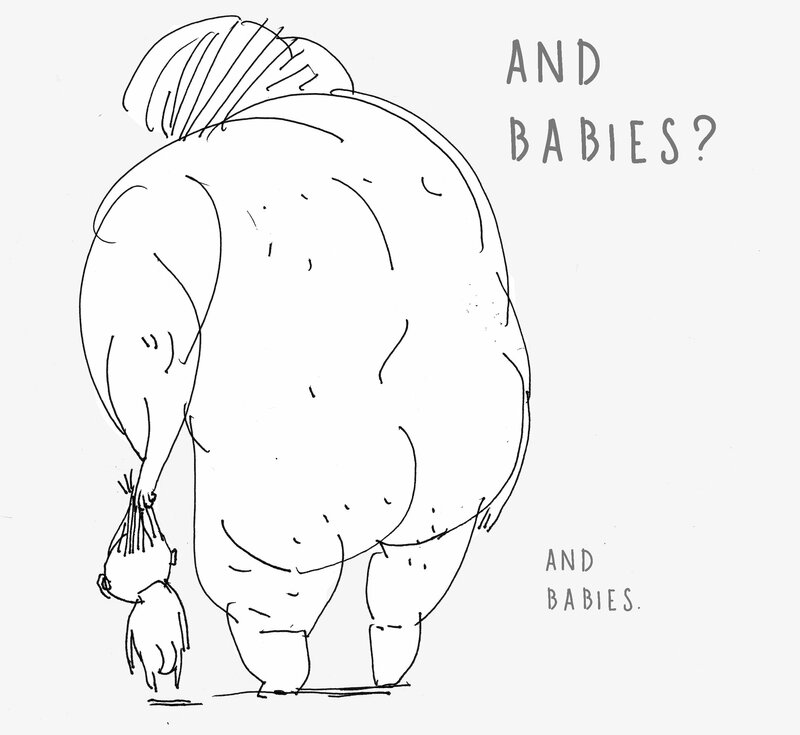 But the true horror in the objectification of those-who-do-not-look-like-us is the reminder Steve Brodner posts, a quick, brief quote that chills the hearts of those who immediately recognized it, though a half century has passed. The worst part of this memory being that, when it came to light, the outcry was that war is hell and they were only following orders. 25 queries in 0.254 seconds.